Too many pastors are living in constant frustration, anger, depression and burnout. Many have given up. Many more who would give up if they could. 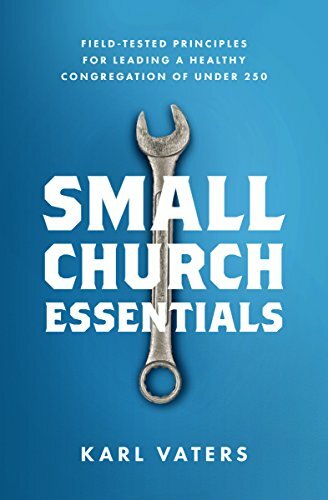 Whether our churches are growing, static, sick, healthy, big, small or any combination of those, Pastoral ministry is increasingly seen as a detriment to our spiritual and emotional health. Healthy pastors always match their output with an equal amount of input. But it doesn’t have to be this way as long as we live by this essential principle: Healthy pastors always match their output with an equal amount of input. Spiritually, emotionally and physically. Many church-goers engage in too little spiritual output. Many pastors have too little input. The first leads to laziness, the second leads to burnout. When we’re pastoring, we’re always on stage. Even if we sit in the congregation during worship, we're in work mode. When we take regular times to worship outside the church, we remind ourselves that it’s about putting God first, not our church. ‘Dance like no one is watching’ is about abandonment to unselfconscious glee. ‘Worship when no one is watching’ is a wonderful pastoral equivalent. Worship is directed to Jesus. Prayer is a dialog with Jesus. Worship is celebrating Christ. Prayer is having a conversation with him. Our relationship with Jesus needs both. If worship points to Jesus and prayer is conversation with Jesus, Bible reading is hearing from Jesus. Too many pastors use the Bible almost exclusively as a source of sermon material. When we do that, it doesn’t feed us, it empties us. We need to let it fill us, encourage us, challenge us and excite us again. Too many pastors are living as roommates with frustrated and increasingly angry spouses and kids. They’re angry that they’ve been put a distant second to the church. And that anger is spilling over on their relationship with Jesus. The truth is, our family should be our second priority – second to Jesus, not second to the church. I’ve never known a pastor’s family to be ruined by a pastor who puts Christ first. As long as the family comes second. And the church comes third. We all need people who can encourage us when we’re down, laugh with us when we’re happy and call us out when we do something stupid.